After taking a bit of a blogging break, I'm ready to tackle my WIPs head-on. I have so many half-finished projects on the go at the moment that it seemed like an excellent idea to join Adrianne for the 2015 Finish-Along in the hopes that I'll get some stuff off my plate before a guest succumbs to a batting avalanche while sleeping in our "guest room." Intended as a Christmas 2014 gift, it didn't quite make it. I'm determined to get it ready for 2015. The top is finished and I just got this bad boy back from the longarmer. Now it just needs a binding and label. An oldie from 2013. I'm still working on piecing the background fabric to the star for this one. 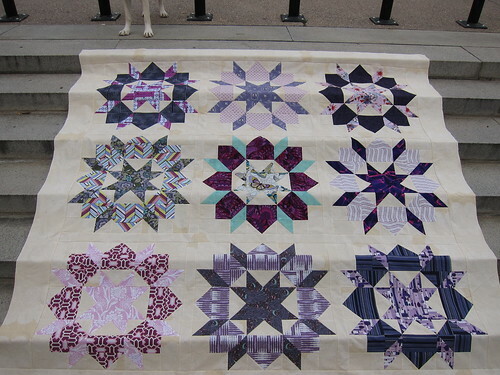 Once is finished it will need borders and backing before it can head off to the longarm quilter. 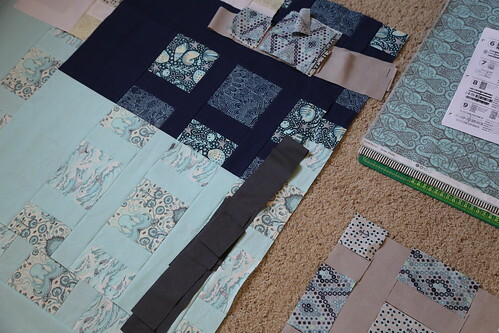 I love this quilt and really want to get it finished. Another oldie from the opening days of this blog in July 2012. 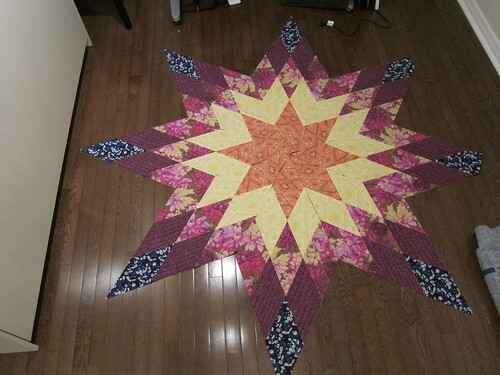 It's been basted and ready to quilt since then but I keep putting it off since I'm intimidated by how big it is. I'm planning to unbaste it and make the backing a little bigger so I can send it off to be longarmed. Done is better than perfect at this point. I've made a few of these in the past and have five more that only need a satin binding sewn on. I'm not sure how many of these I'll get through this quarter but with another influx of babies due shortly, it would be great to get them all finished and re-homed! This is a small lap quilt that I worked on last summer. It's been quilted and just needs a binding before it can replace the down comforter on my couch as my go-to TV blanket. I started this as a bit of a stash busting, palette cleanser when the pressure of holiday sewing was starting to make me twitchy. The top is still in pieces so this will need a fair amount of time before it's ready to rock. I've convinced myself that this bad boy is a weekend commitment. Hoping I'm not too far off in my assessment. Another quilt that I've decided will be a walk in the park. 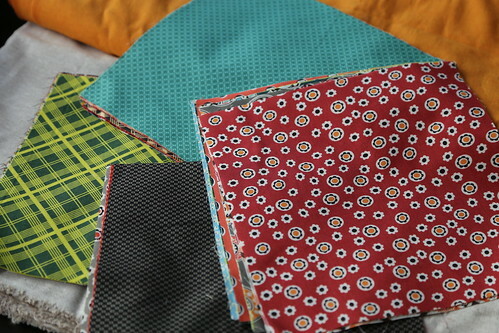 I already have the print fabrics ready to sew and now just need to cut the background fabric. 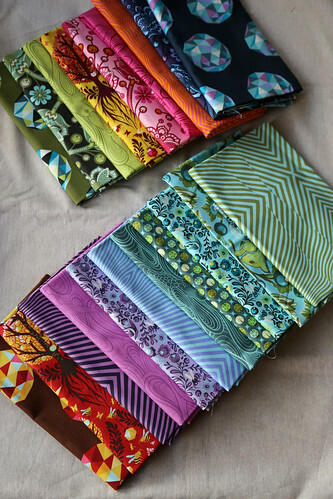 Really looking forward to this one since Denyse Schmidt is one of my quilt heros and I think this will be the perfect way to showcase some of my favourite prints. 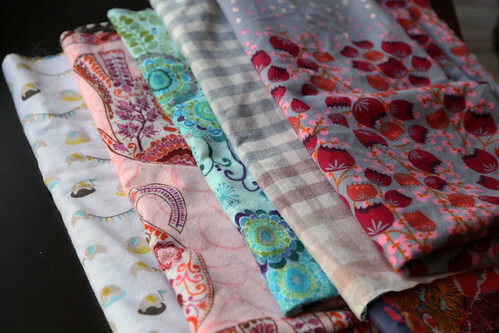 This Tula Pink fabric has been cluttering up my stash for far too long. 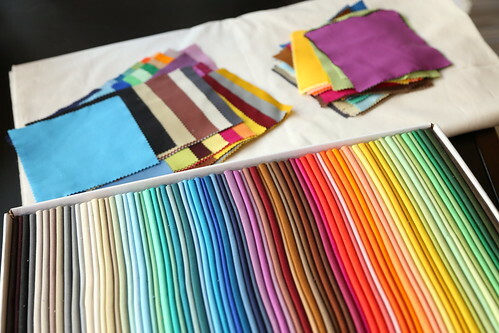 Looking forward to actually enjoying some of it by getting it made into a quilt I've long admired. This is from my January 2013 list so I'm pretty serious about getting this one done. 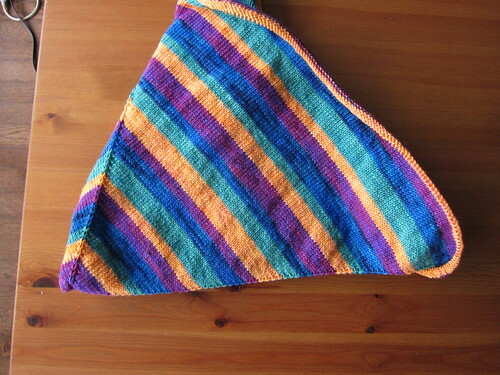 I've finished knitting this one. 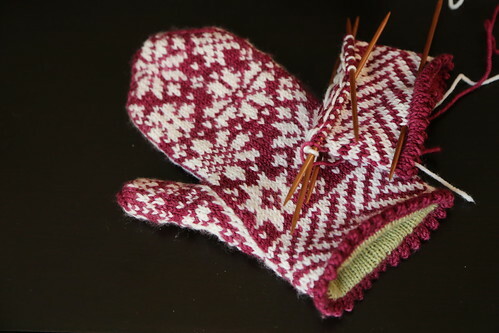 Just have some finishing work (weaving in ends, stitching the picot edging down, blocking) left. I started these in November 2013, just after seeing Kelsey's pair in real life over Thanksgiving. They are so wonderfully warm and cozy. I really want to get them finished before too much longer. There's still lots to do so we'll see how I make out. This sweater was a bit of a last minute add-on but now that I've started knitting it, I'm having a hard time stopping. 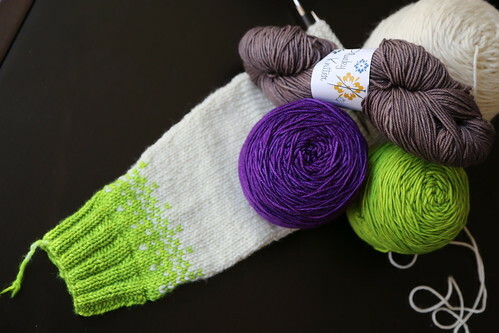 With worsted weight yarn, knit in the round, this one is just flying off the needles. Phewf! That list seems a lot longer written out than it did in my head. It should be an adventure! 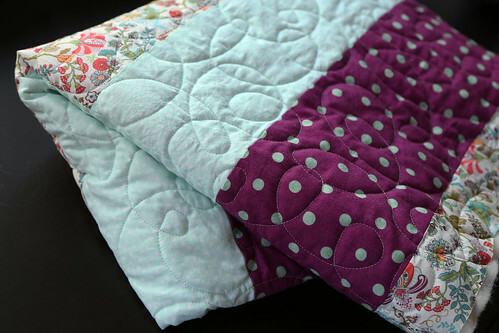 I am swooning over your swoon quilt. Stunning. I love all your WIPs and especially the name for cutting corners :) All my quilts should be named that at one point or another! All your projects are lovely! 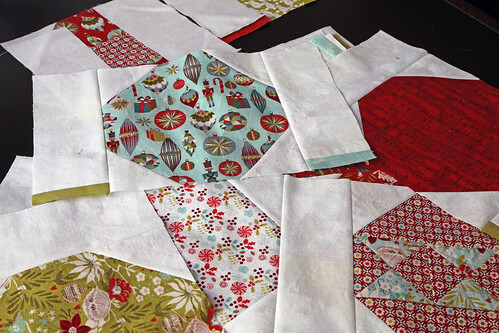 The swoon quilt will be superb. Whatever it takes... Get it done!